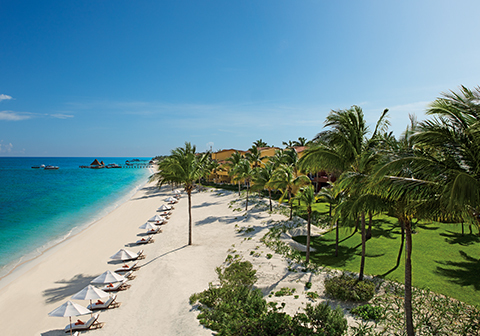 Zoëtry Paraiso de la Bonita Riviera Maya, an ultra-luxurious boutique resort, offers a unique vacation experience focused on wellness, serenity and romance. 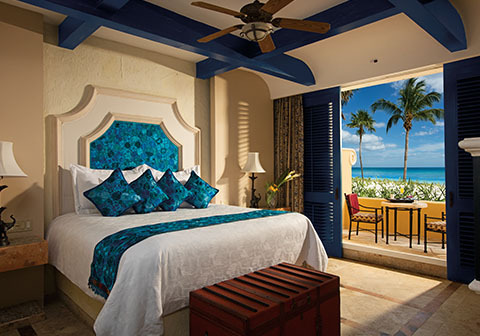 Set on 670 yards of beautiful beach, this exceptionally unique property features 100 beachfront suites with Endless Privileges® such as a welcome bottle of tequila, three-times daily maid service, complimentary Wi-Fi and international calling. 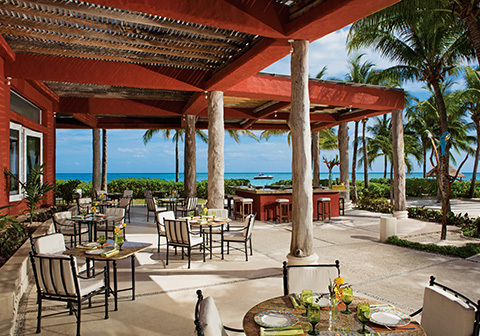 For dining, there’s La Canoa, a AAA Four Diamond restaurant, and three other dining options serving organic, heart-healthy cuisine. 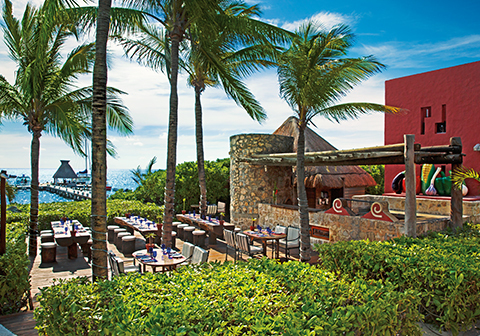 Two bars & lounges serve unlimited top-shelf spirits. 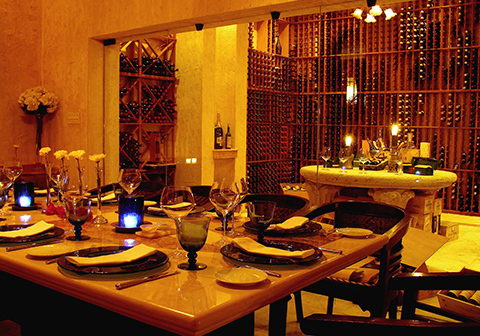 Enjoy dining and entertainment at nearby resorts with the Sip, Savor & See Dining Experience. 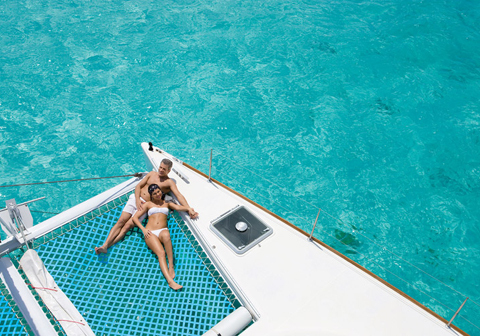 During the day, rejuvenate at the first certified Thalassotherapy Center & Spa in North America, ride a private 48 ft. Catamaran or enjoy complimentary greens fees nearby. 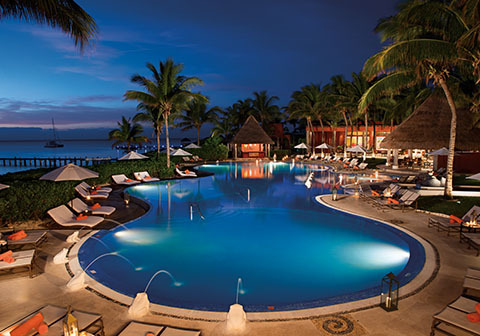 For the fourteenth consecutive year, this resort has earned the elite AAA Five Diamond Award. 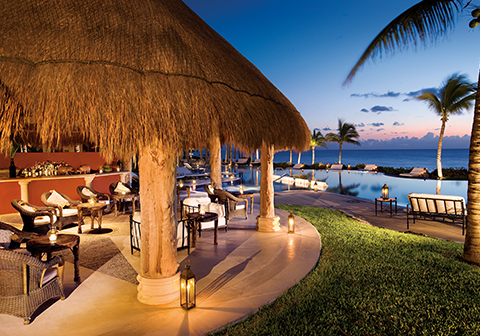 The Impression section is the newest addition to Zoëtry Paraiso de la Bonita Riviera Maya offering a more secluded, villa style experience for the most discerning travelers seeking the highest level of luxury and unmatched service. 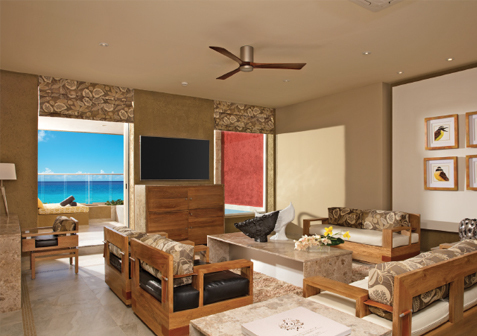 These extra exquisite suites are accompanied by a dedicated butler, an open kitchen with a private chef, upgraded amenities, a designated infinity pool with entry to a secluded & exclusive beach area, plus 2 additional Impression & Butler suite only restaurants, bars and more. 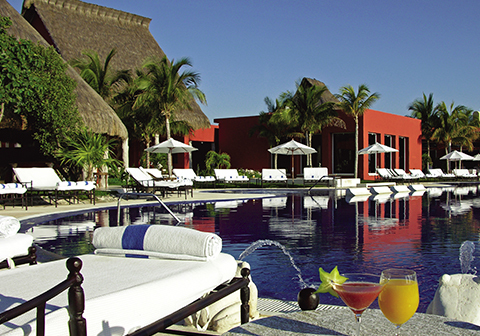 Awaken your senses to the Art of Life® with a retreat to Zoëtry Paraiso de la Bonita Riviera Maya. 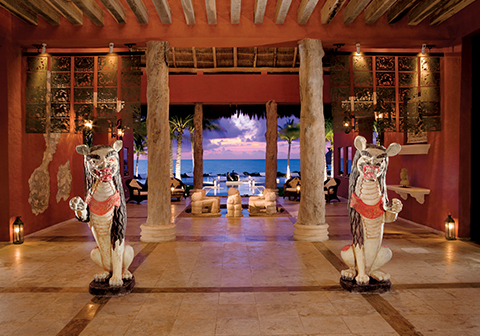 A stay at the ultra-luxurious boutique resort takes elite and worldly travelers on an unforgettable artistic journey to cultural enrichment. 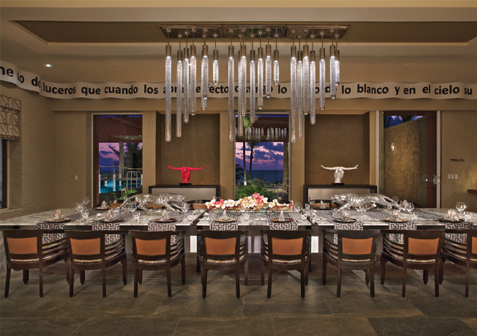 Acclaimed, hand-selected and eclectic art from all over the world adorn the entirety of this award-winning Zoëtry Collection property, ensuring that guests are surrounded by beauty everywhere they turn. 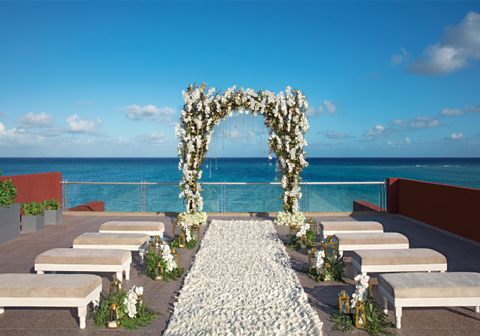 From a gallery showcasing world-famous works and a library filled with literary masterpieces to a spa that offers ancient Aztec and Mayan wellness experiences, Zoëtry Paraiso de la Bonita Riviera Maya is an exquisite setting for guests to celebrate romance, special occasions and milestones, creating fond memories that they will cherish forever. 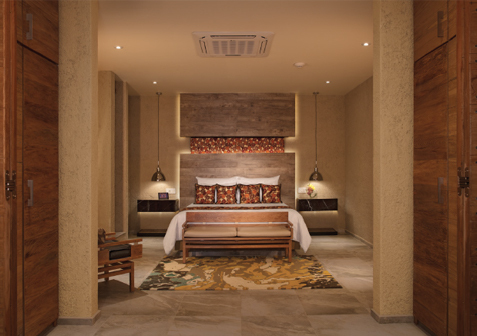 The Impression section is the newest addition to Zoëtry Paraiso de la Bonita Riviera Maya offering a more secluded, villa style experience for the most discerning travelers seeking the highest level of luxury and unmatched service. 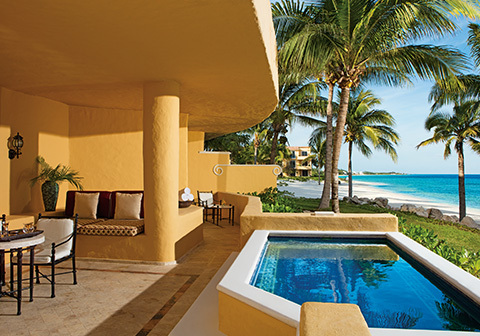 These extra exquisite suites are accompanied by a dedicated butler, an open kitchen with a private chef, upgraded amenities, a designated infinity pool with entry to a secluded & exclusive beach area, plus 2 additional Impression & Butler suite-only restaurants, bars and more. 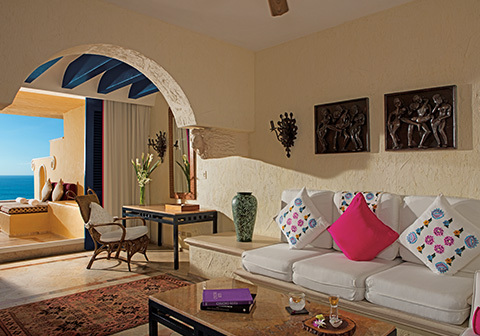 Awaken your senses to the Art of Life® with a retreat to Zoëtry Paraiso de la Bonita Riviera Maya. The Impression section is the newest addition to Zoëtry Paraiso de la Bonita Riviera Maya offering a more secluded, villa-style experience for the most discerning travelers seeking the highest level of luxury and unmatched service These extra exquisite suites are accompanied by a dedicated butler, an open kitchen with a private chef, upgraded amenities, a designated infinity pool with entry to a secluded & private beach area, plus 2 additional Impression & Butler suite-only restaurants, bars and more. 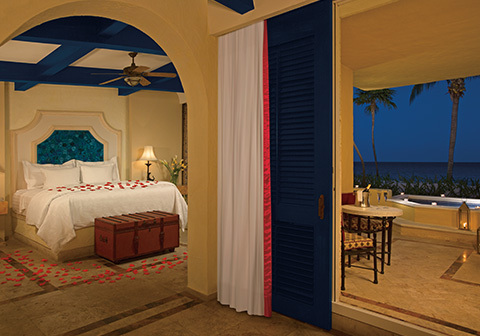 The Impression Ocean Front Junior Suite with Plunge Pool is furnished with a comfortable king bed clad in luxurious Frette® linens, a 43” flat screen TV in the bedroom, an Illy coffeemaker, and fully stocked minibar with a customized selection of top shelf spirits. 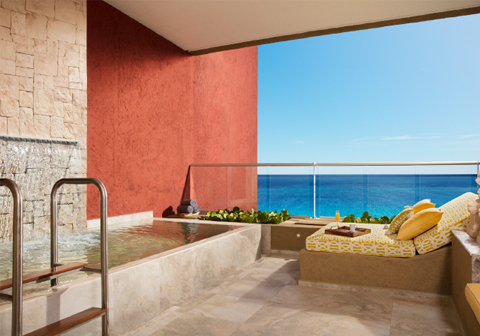 The extra spacious terrace features a private plunge pool, ocean front views and an outdoor shower. 2 types of Bvlgari® bath amenities are available in the marble bathroom which also features a shower and 24” flat screen TV. 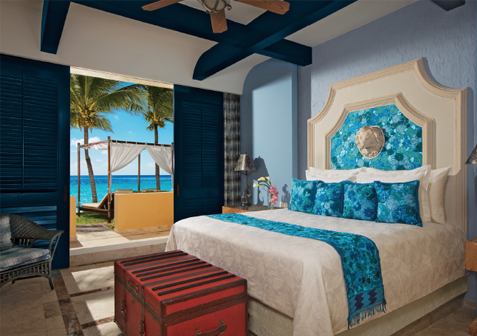 The junior suite is 832 sq. ft and is located on the second or third level of the Impression building. 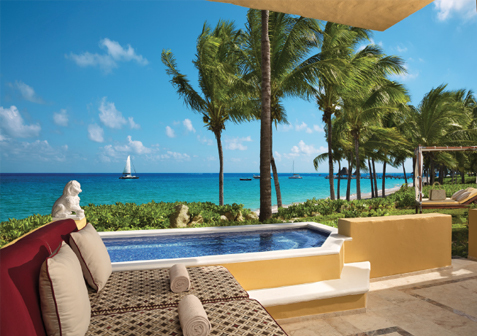 The Impression Ocean Front One Bedroom with Plunge Pool is a spacious suite with a comfortable king bed clad in luxurious Frette® linens and a 43” flat screen TV in the bedroom. It also features a comfy living room area with a 65” flat screen TV and a dining room with an Illy coffeemaker, and fully stocked minibar with a customized selection of top shelf spirits. 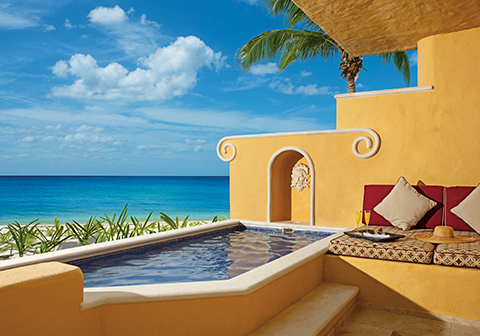 The extra spacious ocean front terrace has a plunge pool in addition to outdoor shower. 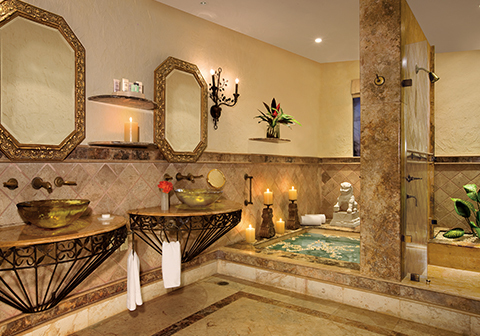 2 types of Bvlgari® bath amenities are available in the marble bathroom with a shower and 24” flat screen TV. 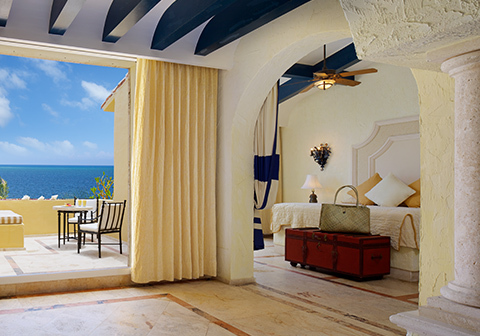 This suite is 1557 sq. ft. and located on the second or third levels of the Impression building. 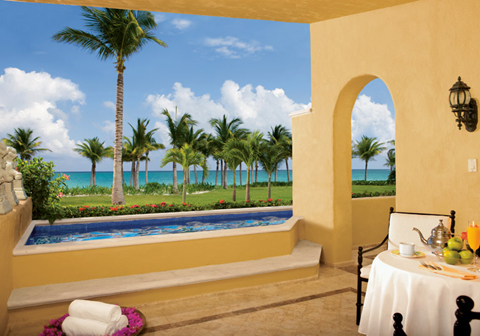 The Impression Ocean Front Two Bedroom Presidential Suite with Private Pool is a very spacious and elegant suite with 2 separate bedrooms including a comfortable king bed with luxurious Frette® linens and a 43” flat screen TV in each room. The common area contains welcoming living and dining room areas with seating for up to 10 people and a 65” flat screen TV, Illy coffeemaker, and fully stocked minibar with a customized selection of top shelf spirits The expansive terrace features a jacuzzi, two sun loungers and a large private pool overlooking the ocean in addition to a plunge pool and outdoor shower. 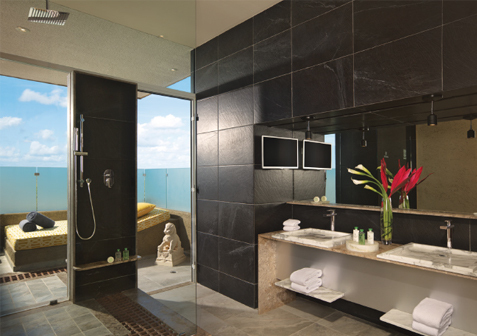 2 types of Bvlgari® bath amenities are available in the marble bathroom with a glass shower and 24” flat screen tv. 2027 sq. ft. & located on first level of Impression building. 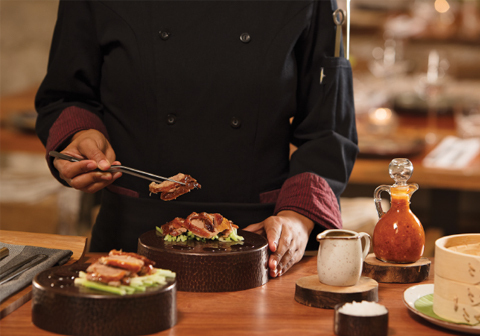 This new Asian fusion restaurant features unique savory dishes to please any palate including Peking Duck. 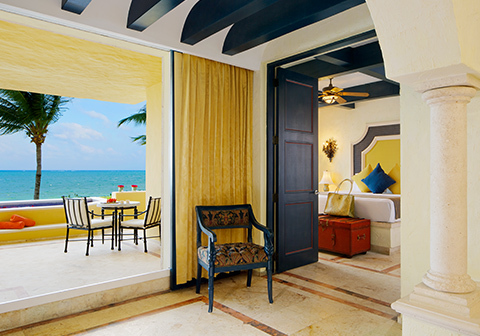 Open for guests staying in the Impression and Butler Suites. 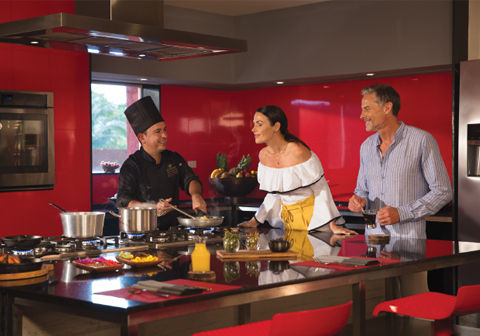 Savor a la carte International and Mexican cuisine while dining at a beautiful, large marble table in an open kitchen area or in front of the chef. 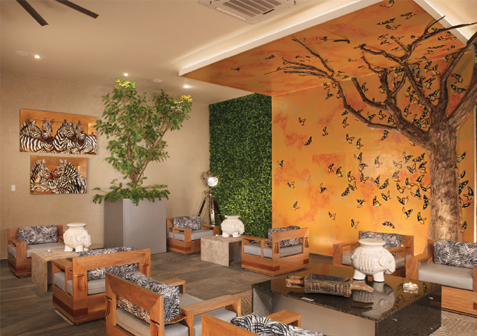 This exclusive indoor bar for Impression & Butler guests is connected to The Library and Elefante Lounge. It serves top-shelf spirits throughout the whole section. 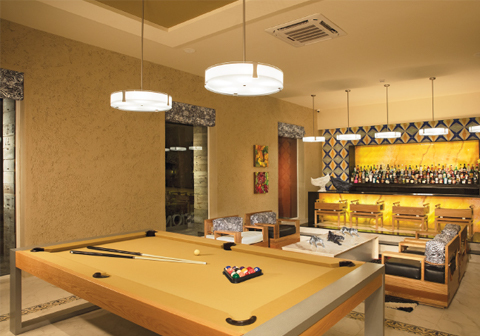 Guests can relax and grab a drink or play a game of pool on the billiards table. 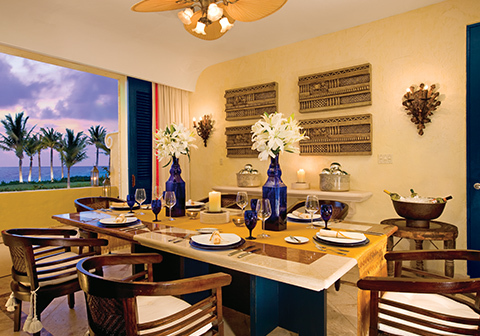 Your suite serves as your very exclusive vacation home. 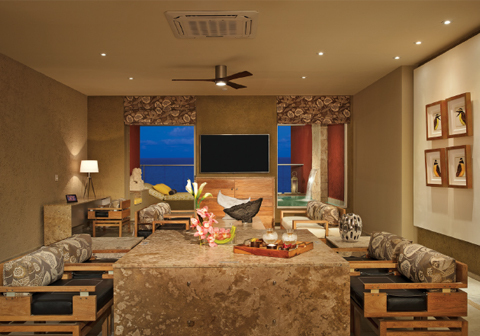 Enjoy your sunny, spacious living area and bedroom that is just one of 100 suites that are all oceanfront and are individually decorated with an eclectic collection of hand selected art and sculptures, artifacts and fabrics from the far reaches of the world. 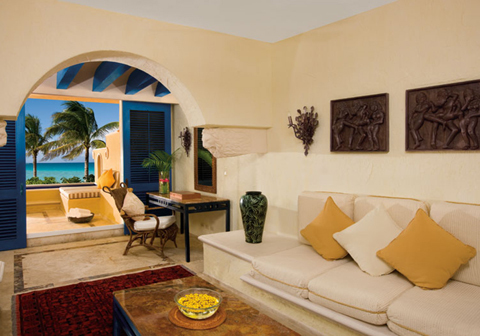 From your private terrace you will gaze out at the brilliant blue Caribbean or lush tropical gardens. You will be greeted at the airport by a private chauffeur. 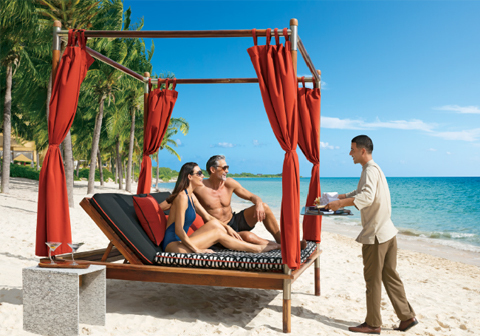 A cell phone number will be provided to have personal and direct communication with your butler during your stay. 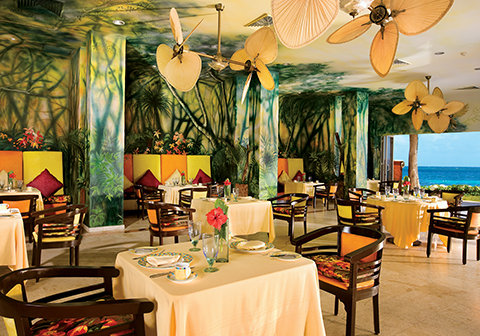 Offering 3 reservation-free restaurants, one Sushi & Ceviche Bar, & an additional 2 restaurants in the Impression section, Zoëtry Paraiso de la Bonita features a large selection of light, heart-healthy, gluten free and vegetarian selections. 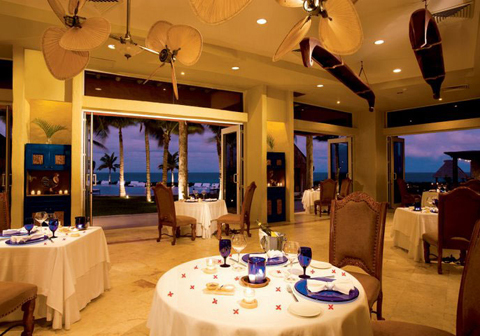 Each restaurant features gourmet cuisine coupled with stunning views of the beach and the turquoise Caribbean Sea. In case guests prefer any special items due to a food allergy or other requirement we can arrange a complimentary meeting with our chef. 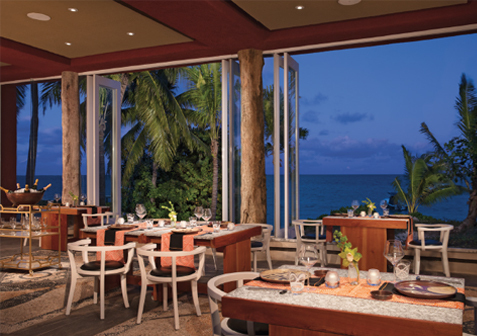 24-hour dining options allow guests to enjoy late night bites at Restaurant Kaax. Or guests can stay in and order room service. It’s all available at any hour day or night. 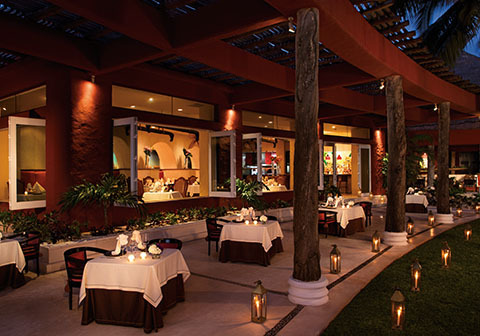 This award-winning restaurant offers “Cuisine de los Soles”, a gourmet fusion of styles based on of spices and chilies. Formal – For men, long pants and collared shirts; dress shoes. For women, blouses, skirts, slacks or dresses; dress shoes. 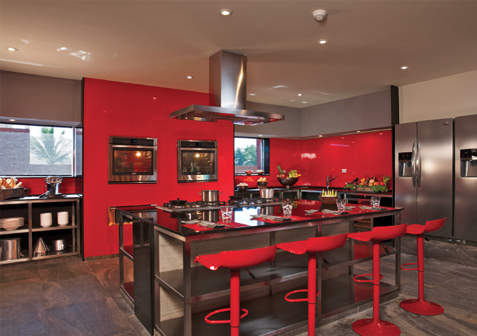 Guests can take a seat at the main marble table or at the Chef’s Table in the open kitchen area for a special, intimate dining experience with a private chef. 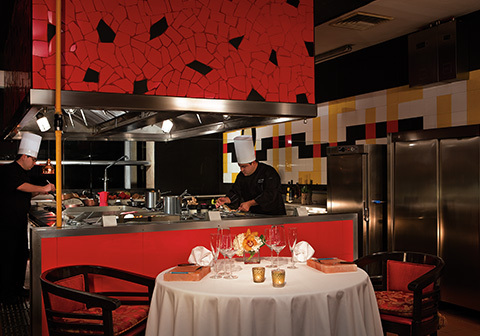 Guests can select from a special menu and watch the show as the chef prepares their gourmet meal. A truly unique & personal experience. 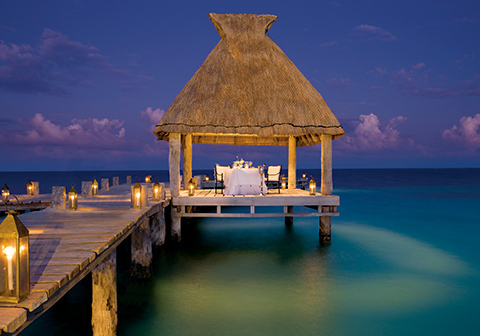 Romantic dining is another special pleasure available throughout the resort and the magnificent locations include the pier, beach, garden, pool, or chef’s table. 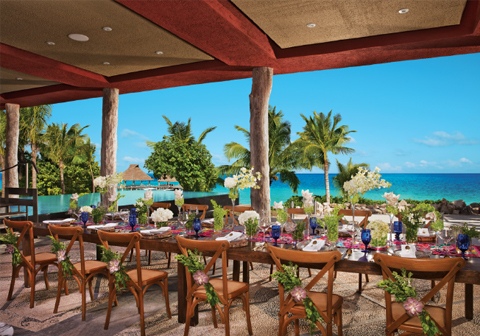 As part of the privileges of Endless Privileges®, we’re offering guests of Zoëtry Paraiso de la Bonita the chance to Sip, Savor & See all AMResorts properties in the region. Enjoy dinner and live entertainment at neighboring resorts including sipping complimentary cocktails, savoring delicious cuisine at the restaurant of your choice and the opportunity to see that evening’s entertainment. 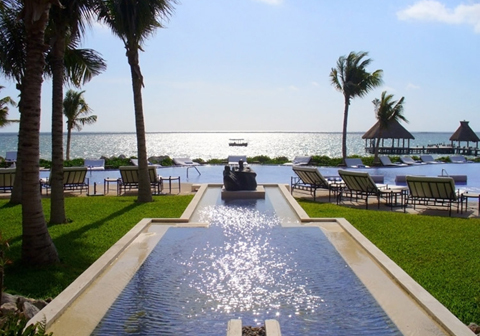 Enjoy the revitalizing environment at Zoëtry Paraiso De La Bonita and arrange an ecology tour to the Sian Ka’an biosphere or take a wildlife tour, remember you are just 35 minutes from the charm and fun of Playa del Carmen and just 20 minutes from the shopping and nightlife of Cancun. 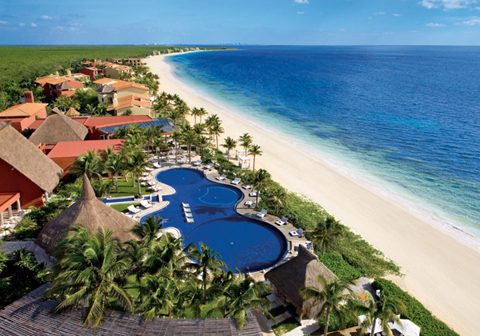 Cancun – Experience the nightlife and activity in the Cancun hotel zone, filled with great restaraunts, bars and shopping. X-Caret – Learn about the Mayan culture and enjoy several family-friendly activities at this ecological/archaeological theme park. Xel-Ha – Enjoy this eco-aquatic park and archeological site in an aquatic adventure through lagoons and caves while taking in the ancient Mayan culture including intact artifacts of the past. 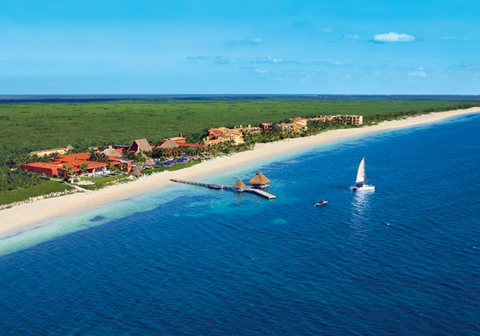 Cozumel – Explore this island off the coast of Mexico with its world-renowned scuba diving and snorkeling. Accessible by ferry. With this experience, guests will have an opportunity to explore the emotions of this gallery though sight, taste and smell. A tour through the resort showing the art pieces and providing insight on each piece including the Naturalismo paintings. 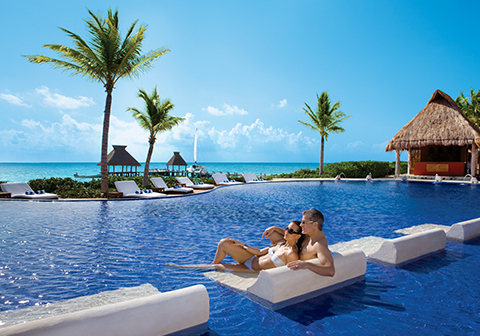 Guests of Zoёtry Paraiso can enjoy complimentary greens fees at Grand Coral Riviera Maya and El Tinto Golf Coruse at Cancun Country Club. There are additional fees that guests are responsible for at the golf course. Details & pricing can be found on the Special Offers page under “Complimentary Greens Fees” offer. 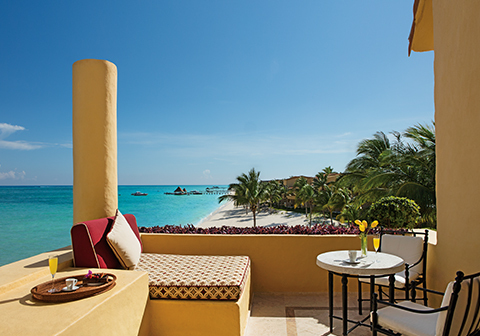 Internet access is complimentary as part of Endless Privileges®. Our 22,000 sq. ft. spa, Thalasso Center & Spa transcends all others by offering the first certified Thalassotherapy Spa in North America. 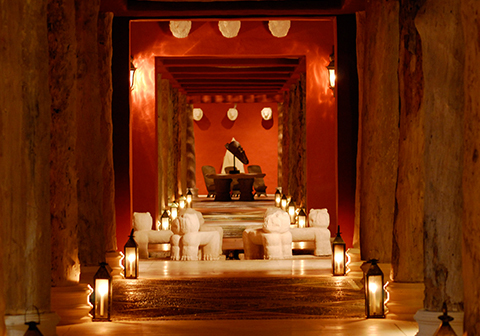 The spa offers guests a wide range of treatments combining ancient traditions and modern health science for an utterly relaxing and tranquil spa experience. 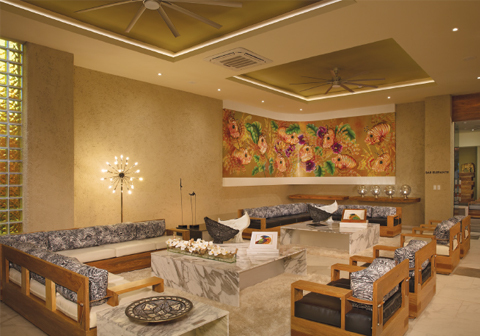 For detailed list of all our spa treatments and massages, please contact our Spa Manager. 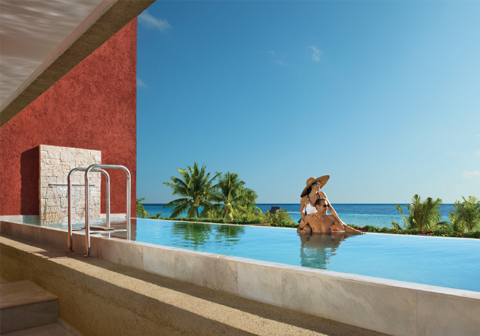 There is no better place to experience the ancient concept of ‘Sanitas per Aqua’ (SPA), Latin for ‘health through water ’, than at Zoëtry Paraiso de la Bonita Riviera Maya Thalasso Center. 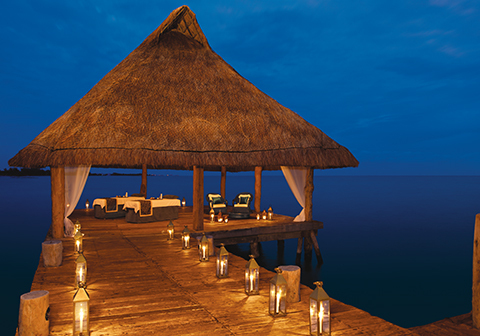 Tucked between a lush mangrove forest and a secluded white sand beach with jewel-blue Caribbean waters, the 22,000-squarefoot ocean front Thalasso Center & Spa, the first and only certified Thalassotherapycenter in North America, is a true temple of healing, composed of a large outdoor therapeutic saltwater pool, 14 wet and dry specialized treatment rooms, fitness facilities, separate male and female saunas and steam rooms, Temazcal (a traditional Mexican steam bath). The Thalasso Center & Spa incorporates ancient traditions and modern health science to offer a wide range of treatments including personalized facials, slimming, remodeling, toning, relaxing, revitalizing and detoxifying treatments and body wraps, saltwater hydrotherapy and hydromassages, aparatology (Indiba, endermologie, G5), specialized massages and native Mayan treatments. Thalassotherapy cleanses and invigorates your body through the use of freshly heated seawater, seaweed and marine mud that infuse the skin with minerals and nutrients and help eliminate toxins. 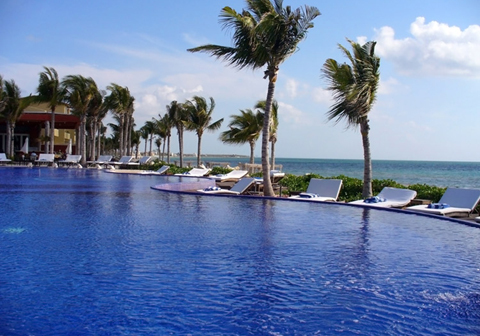 In addition, the Thalasso Center provides additional wellness experiences including Aquagym, Yoga, Meditation and, strength and cardiovascular training facilities, physiotherapy, nutrition, acupuncture and Chinese medicine services and Mayan healing practices. 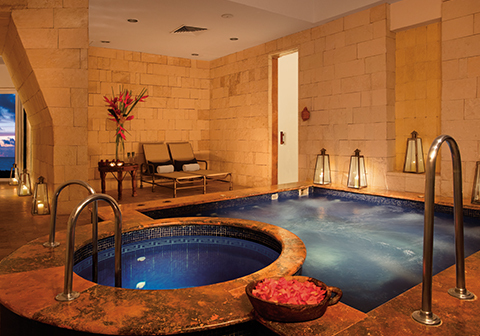 The ultimate guided journey into the world of thalassotherapy. The welcome ritual begins in our steam room, allowing the heat to soothe and loosen muscles, open your pores and eliminate toxins. As an interlude, your guide will take you to our heated thalassotherapy seawater pool to stimulate your open pores and engage in specialized routines with the help of our hydrojets to relax your muscles. We round off the ritual with a brief introduction to the therapeutic application of hot and cold water (also known as Kneip therapy). Alternating between hot and cold experiences with precise timing relaxes and revitalizes your body by stimulating the circulatory and immune system and promoting detoxification. This is the first step in restoring your body to a state of harmony and complimentary with your Endless Privileges. 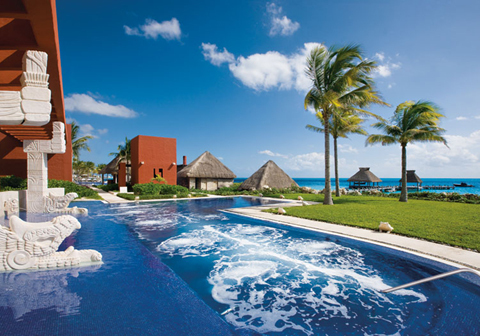 The Temazcal is part of the Endless Privileges® inclusions at Zoëtry Paraiso de la Bonita Riviera Maya, at no additional cost. Limited spots per day are available. 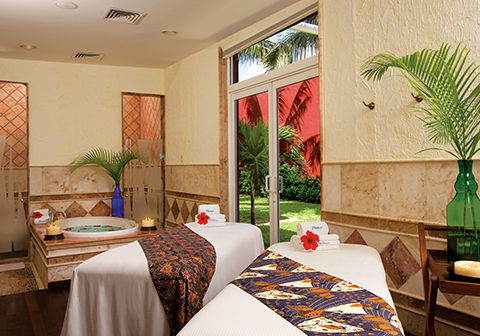 To participate, guests can sign up at the spa or email the Spa manager at spa.zopdb@zoetryresorts.com. The fitness center, 110 m2/361 sq. ft., offers a variety of equipment and machines. Zoëtry Wellness & Spa now offers small dog friendly accommodations and other extras, in select room categories (with restricted access throughout the resort) so you don’t have to leave your four-legged friend behind.